Tamara Ireland Stone (www.TamaraIrelandStone.com) is the New York Times best-selling author of Every Last Word; Time and Time Again, a collection of her two novels Time Between Us and Time After Time; and Click'd, her middle grade debut. A former Silicon Valley marketing executive, she enjoys skiing, hiking, and spending time with her husband and two children. She lives just outside of San Francisco. "Packed full of middle school drama-best friends, arch enemies, cliques, crushes, and sports-this novel will surely please... Fast-paced and tech savvy, Allie's adventures may inspire readers to explore coding." "Clueless meets Dead Poets Society with a whopping final twist." 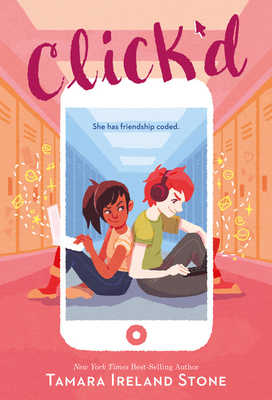 "This book is highly recommended-readers will connect with Sam, relating to her anxiety about her peers, and root for her throughout the book." "Tamara Ireland Stone has delivered a brilliant and moving story about finding your voice, the power of words, and true friendship. I couldn't put it down until every last word was devoured." "A warm, time-bending romance [that] will have readers rooting for the couple that keeps daring fate."